Top Reasons to BUY or NOT buy the Dell Inspiron 15 5570! LaptopMedia.comHighlightsTop Reasons to BUY or NOT buy the Dell Inspiron 15 5570! For those of you who are not yet acquainted with our detailed review of the Dell Inspiron 15 5570, it is essentially a notebook suitable for multimedia and educational purposes. This article summarizes the top 5 reasons for and against the machine if you are considering a purchase. The Dell Inspiron 15 5570 is quite portable for a 15-incher with a weight of just 2.12 kg and 19.9 mm thin profile so you can comfortably carry it around with you throughout the entire day. Another plus of the device lies in the storage department. Even if you go for the lowest configuration, you will still be presented with a standard 2.5-inch HDD/SSD bay and an M.2 SSD slot. 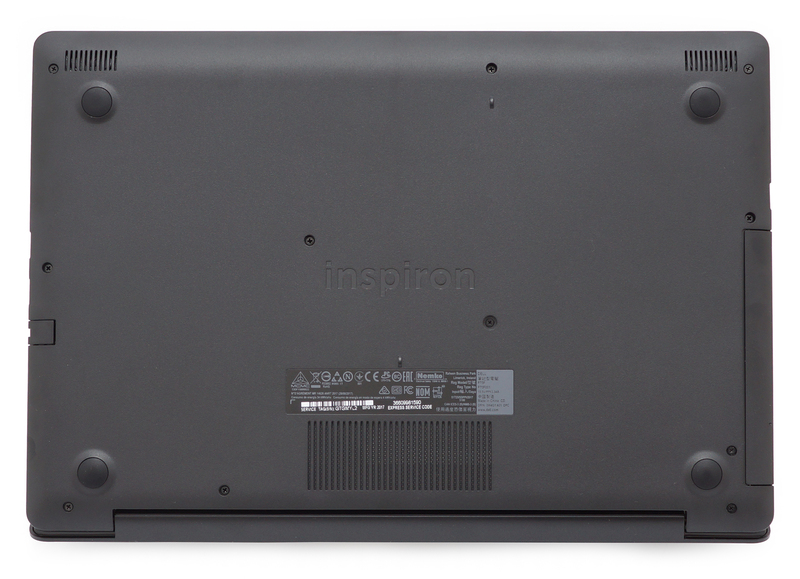 Unfortunately, the Dell Inspiron 15 5570 doesn’t stand out with its build quality. The matte plastic lid is prone to retaining fingerprints while it is also not resistant to torsion and bending. In addition, although the single-hinge design holds the screen firmly in place, you cannot open the notebook with one hand. In contrast to the exterior, the interior features brushed aluminum. Despite being a fingerprint magnet too, the material ensures fairly good stability. Unfortunately, the display is rather disappointing for this price range. The Dell Inspiron 15 5570 sports a screen with a fairly low maximum brightness of just 194 nits, extremely low contrast (325:1), poor viewing angles due to the presence of a TN panel and limited sRGB coverage (50%). What’s more, the display is PW-modulated at certain brightness levels which will lead to negative effects on users with sensitive eyes. However, we recommend installing our custom profiles each of which improves the image quality in certain aspects. Quite surprisingly, the cooling performance is not efficient enough – during our stress tests we recorded rather worrying temperatures. 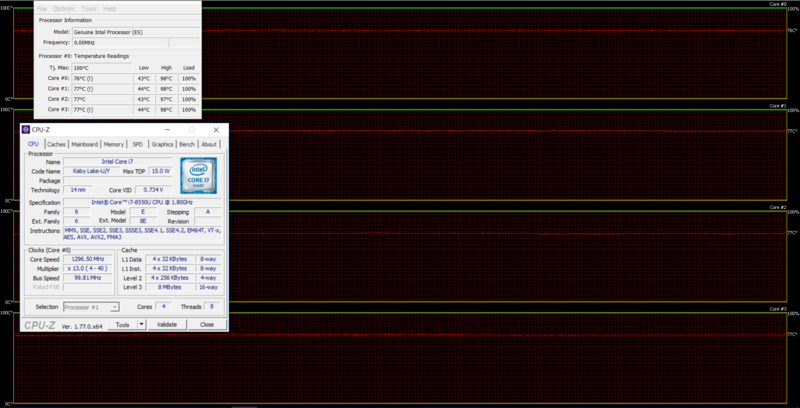 For example, the GPU reached up to 90 °C under heavy load which is exceptionally hot even for gaming laptops. We recommend checking Lenovo IdeaPad 320S (15.6″), Lenovo Ideapad 520 (15″) and Acer Aspire 5 (A517-51) which are not only worthy opponents to the Dell Inspiron 15 5570 but they may also suit your needs way better. Follow this link to read the in-depth review. I own a Dell Inspiron 5567 a previous model to the 5570. I agree that Dell has been skimping out on quality screen panels because even a HD (1366×768) TN panel these days should not look so bad. My colors are so washed out, and unless your looking spot on at the screen the viewing angle is atrociously bad. Mine has a 256 SSD and the backlit keyboard is fine. Even the precision touchpad is good. But the screen totally ruins a perfectly good mid level notebook. Dell needs to up its game or be left behind.